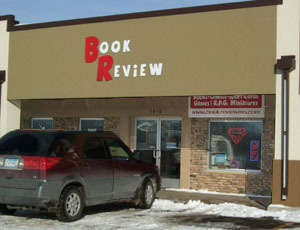 The Book Review is located just off the Highway 52 freeway in the center of Rochester, Minnesota. Started in 1985, the store has always had a mix of products to offer. Additionally, you can find DVDs, posters, t-shirts, action figures, audiobooks, and even candy. Something for everyone's taste!